Welcome to the forum African hunter. I will leave the answer to the more experienced folks but it sure is a mighty pretty specimen of something. 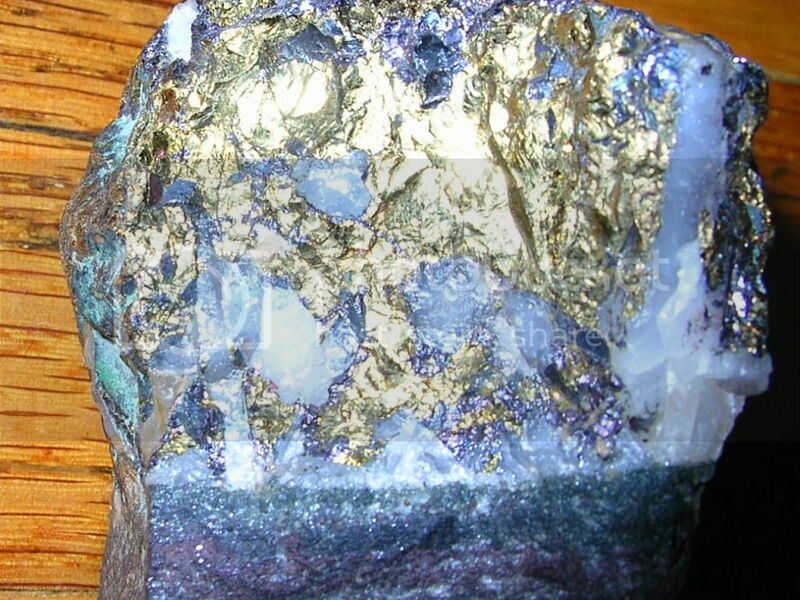 The blue color indicates Copper content of some sort. Some form of Pyrites I would think. Welcome to the forum African Hunter! It is very hard to tell with some pictures and your pictures have to much flash glare on the specimen to get a true color of your specimen, if you could take another picture outside in natural light without a flash and no glare on it, we will get a better idea of it's true colors. 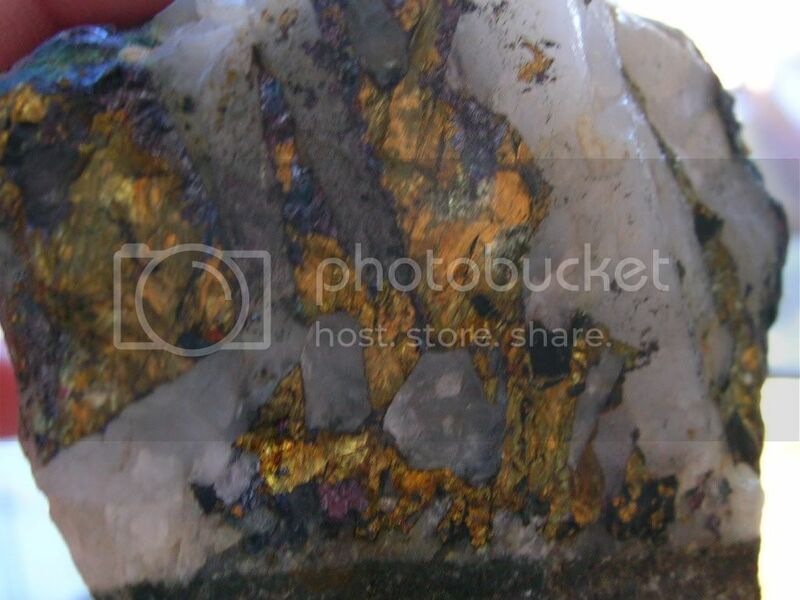 One way to help determine if the gold color portion is gold is take a knife or other sharp pointed object and see if it the golden portion will indent when pressure is applied with the sharp point, gold will indent without any parts of it falling off, all other minerals such as pyrite will chip and shatter and pieces will fall off. You can also do a streak test using a piece of white unglazed ceramic tile (the back of the tile), rub the golden portion on the tile, gold will leave a gold/yellow streak, and Bornite mention below or pyrite will leave a grayish to black streak on the tile. Thank for all the welcome's. Here is more pictures. It's looking more like pyrite (Fool's Gold) to me, but do the streak test and stick it with a sharp pointed object to see if the "gold" will break or indent to help with the identification process. 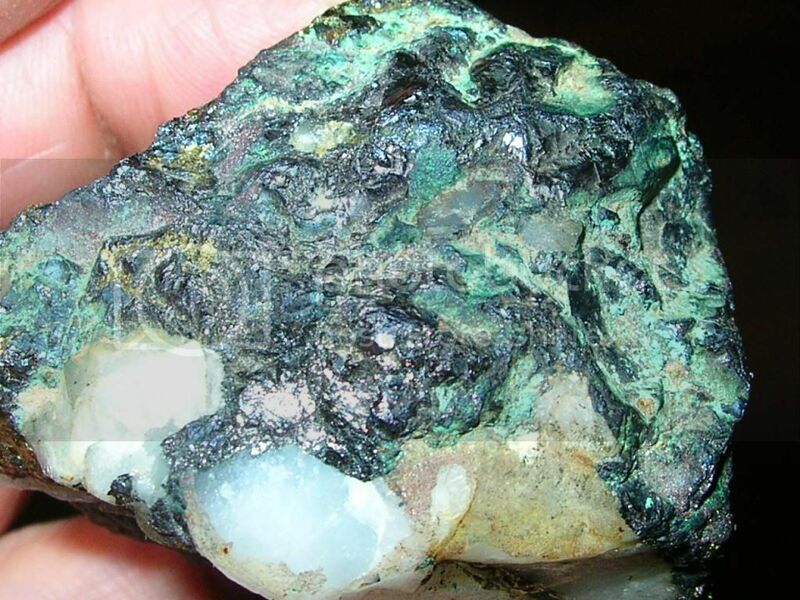 The green color does seem to indicate copper in the specimen, but copper is associated with gold. It break when I stick a knife point on it. But it is still a nice specimen and maybe worth a little cash to a collector. Also some pyrite may have gold contained within it makeup and you maybe able to get a little gold by crushing it and panning it out. 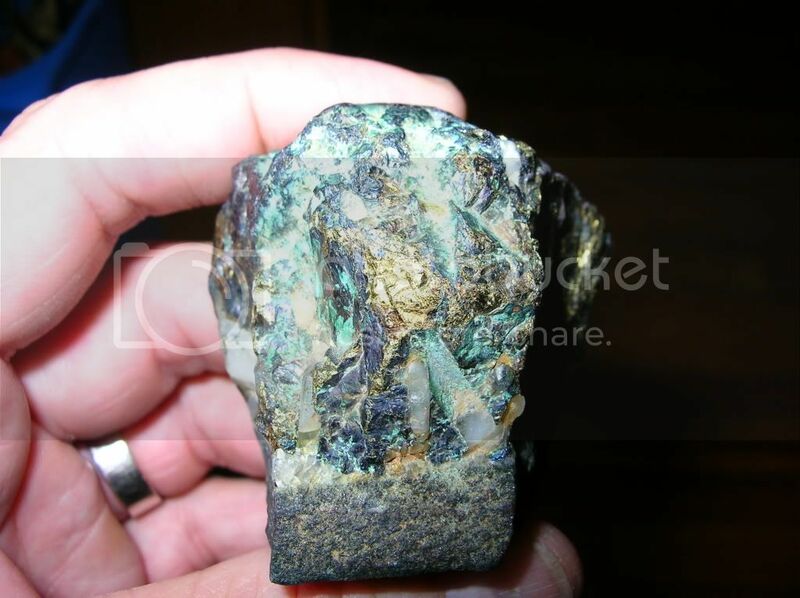 Is gold known to be in the area that this specimen was found? This rock is from South Africa. And yes it is from a gold rich area. 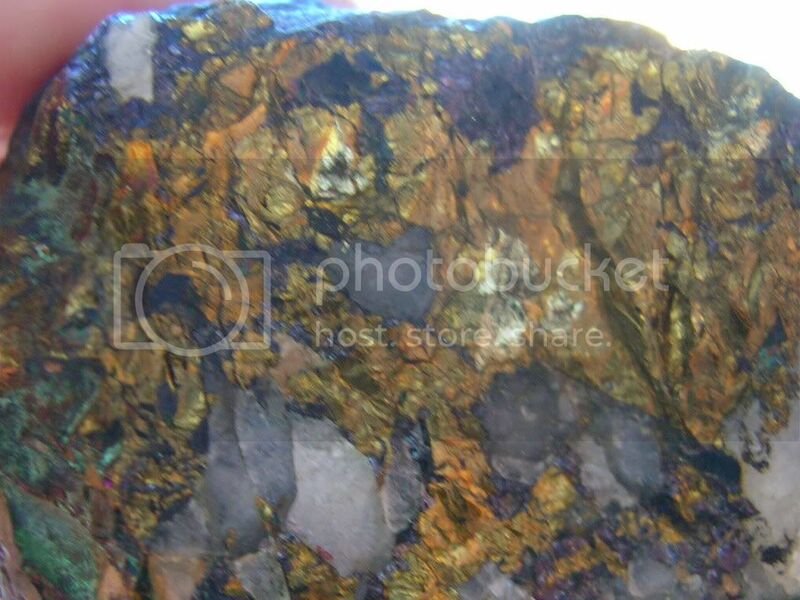 If it does have some gold within the pyrite which is very possible and you have or can get more of this ore, I would crush some and then roast the crushed ore in a steel pan over a fire outside and avoid breathing to much if any of the fumes which will have a sulfur smell, the roasting is to help release any gold from the sulfides that are a part of the makeup of pyrite, don't roast for too long or you risk losing some gold if there is any, then pan the material to see if any gold is present in the ore.
if you find any gold please post and let us know because we love gold!!! What would a specimen like this be worth? We just had this very topic a few days ago.